In the Politics, Aristotle famously identifies human beings as ‘political animals’. By this he does not mean that we are all, by our nature, interested in elections, or lobbying, or community organising, but rather that we all, by our nature, belong to the polis, which is to say to the city or to the city-state. It is a corollary of this view for Aristotle that if a person lives entirely outside of the bounds of human society, he or she cannot partake fully of what it is to be human; the proverbial child raised by wolves inevitably grows into a different sort of animal than you or I: non-political, and so not fully human. There is not in the end such a sharp distinction between 'political’ in Aristotle’s sense and in the sense in which we usually understand it today (voting, lobbying, etc.). To live in society at all is inevitably to embody and enact social roles that have political significance. George Orwell understood this when he wrote that “in our age there is no such thing as 'keeping out of politics’,” though in truth this was no less the case in classical Greece. But if all social life is political, won’t it be necessary to think of the designation 'political animal’ as a genus name, including many species, rather than as something unique to human beings? After all, and as Aristotle knew well enough, there are many highly social species of animals (not least, wolves). Even if we exclude simple gregariousness as being non-political, to the extent that it implies no distinction of social roles, there are still very many species that appear to have a complex system for the division of labor (ants), the capacity for collective planning (elephants), bargaining (apes), and so on. Since antiquity the evident complexity of beehives has led many authors to suppose that these insects are not only political, but that their social world might provide us the very model and ideal of political organization. Thus in the early modern period we see a proliferation of works blending elements of both political philosophy and practical apiculture, such as Samuel Purchas’s 1657 work, A Theatre of Politicall Flying-Insects, Wherein Especially the Nature, the Worth, the Work, the Wonder, and the manner of Right-ordering of the Bee, Is Discovered and Described. This title is not exceptional in its era, but only one of dozens of similar attempts to understand the nature of the polis through the world of the hymenoptera. If however we are looking for signs of intentional or willful 'right-ordering’ in animal society, there will always be some human skeptics for whom no evidence will count as decisive. Any appearance of complex intellectual or emotional activity in non-human animals can always be explained, or explained away, as mere instinct, and any argument to the contrary can be dismissed as naive or sentimental anthropomorphism. The reasons why intention and will are posited as requisites for any complex social behaviour among animals are seldom made explicit, and the fact that human beings for their part, and a fortiori human politicians, often seem to do what they do without giving any real evidence of reflection, does not seem to the skeptics to show that the very arguments used to deny a true political life to animals might well bounce right back at us. And yet there is another sense, much less often discussed, in which we might think of animals as political. We might, namely, ask whether there is any good reason to think of the boundaries of our own political life as extending only to the limits of our species, and no further. What if the domestication of livestock, the hunting of wild animals, our close community with pets, and so on, were conceptualised as fully and truly activities of interest to political philosophy? There is some minimal motion in this direction already; Will Kymlicka and Sue Donaldson’s important 2011 book Zoopolis: A Political Theory of Animal Rights is noteworthy here, as is the recent attribution to great apes of the legal status of 'person’ in a handful of countries. What is a person, anyway? Until the very most recent age, often vaguely called the 'modern’ period, humanity existed within a trans-species community of person-like agents: some of them human, some animal, some physical, and some spiritual. While it is indeed only since Darwin that we have come to think of ourselves as animals, for the great majority of history we imagined that the animals, themselves, were persons. They were not human persons, not homo sapiens, but they were fellow actors within a shared reality, in which bears and birds and human beings all moved within a complex web of reciprocal moral relations. Today we tend to imagine that we have progressed as a species from the naive world view of our predecessors, who saw themselves as having not just shared evolutionary connections with animals in the distant past, but also a shared community in the present. Yet this progress has come at a considerable cost. For one thing, modern adult humans are now cut off from the deeply ingrained patterns of thought that once helped us make sense of our place in the world through our relations with animals. These patterns are natural, seared in by evolution, and can only be trained out or suppressed with considerable harm to our sense of self, to our psychological well-being, and also, eventually, to our environment. Aristotle’s restriction of the attribute 'political’ to human beings goes directly against the way human beings actually experience the boundaries of community. As amply attested in literature, history, and mythology, and as confirmed in our own experience, community has always cut across species boundaries. Curiously, Aristotle also recognises that hunting is, as he puts it, “a form of war.” The hot war, so to speak, is one that human beings had decisively won already by the time of the rise of city-states, and the human relation to animals witnessed by Aristotle was in truth something more like an occupation of the animal kingdom by the overwhelmingly more powerful empire of humans. In daily life Greeks did not worry much about being eaten by lions, even if in the proverbial state of nature a lion would have decisive advantages in one-on-one battle. In the intervening millennia the overwhelming power of humans, at least over other megafauna, has only grown more unquestionable, and has led not only to the total absence of real danger from other animals, but also the complete annihilation of many species, and to the rise of great, efficient death factories for others. Animals might kill us yet, but they will not be the sort of animals that are visible to the naked eye. War, one should not need to point out, is a supremely political affair. Our total victory in the war Aristotle describes, and our subsequent refusal to acknowledge the political and moral status of the defeated, does not alter this fact in the slightest. All animals are political animals. After publishing this reply, I went back to verify what Aristotle in fact says. The argument in the Politics is that "man is a political animal more than any bee or any gregarious animal." Nature, he explains, "makes nothing in vain; and man alone go animals possess language. The mere voice, it is true, is a sign of pain and pleasure and to signify them to each other); but language is designed to declare the advantageous and the harmful, and so also the just and the unjust; for this is peculiar to men in comparison with the other animals, to alone have perception of good and bad and just and unjust and the like; and community in these things makes a household a polis" (I.2.1252-a7-18). 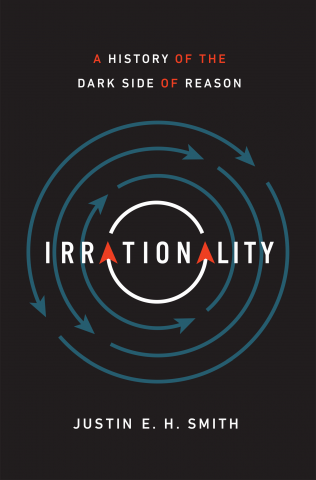 What this effectively establishes is that there is a direct connection between rationality and, as it were, politicality. It is not just that we are capable of rational deliberation, but that this capacity also ties us directly into the process of collective deliberation on which political community is based. I disagree with this account of human uniqueness for basic reasons that I've articulated repeatedly. Here all I'm noting is that it's been with us a long time. Yet it is perpetually presented as a new insight. Just yesterday I came across this article from Yuval Noah Harari on "Why Humans Run the World." Like Aristotle, he sees individual human rationality, cut off from the collectivity, as offering no particular advantage over the capacities of non-human animals. Like Aristotle, too, the author finds special reasons to exclude the collective action of insects from the domain of the political in the full sense. Like Aristotle, he fully ignores plant life, of which contemporary science is increasingly confirming what many non-Western cultures have known all along: that it has its own rationality, and indeed one so complex that our ordinary metaphysical distinction between individuals and collectivities can make no sense of it. As always, the ceaseless effort, going on now for over 2000 years, to establish 'the anthropological difference', the thing that makes us unique among beings, continues to look to me like just another species of provincialism. I don't know, Justin; I would like to establish the anthropological difference so that I can point to the human and declare this being here the most savage and unjust of animals. We read in Aristotle that "Injustice is harshest when it has weapons..." (Politics 1253a30) and that humans are the "worst of all." Maybe that makes me provincial. Aristotle, and Plato before him, do talk of other kinds of political animals: at Phaedo 82b5-8, bees and wasps and ants are mentioned as types of political animals into which the souls of non-philosophically virtuous humans might transmigrate. Humans may be the *most* political animal, but it would never have occurred to Aristotle to call us the *only* political animals. The most interesting discussion is at Historia Animalium 487b33ff (and here, at 488a9-10, he repeats Plato's list of examples and adds cranes). He is clear here that not all herd-animals are political, but only those which have some cooperative ergon. But that includes the bees and wasps and ants and cranes. (Which suggests that "belonging by nature to the polis" is an overtranslation of "politikon.") We still speak of "social insects," even if the adjective "political" has gone out of fashion for them since Purchas' time. When Plato speaks of bees and ants as political animals, this is a compliment only up to a point; it is also a put-down to politically virtuous humans (and to Protagoras who had claimed to teach "political virtue," and had perhaps invented the term) to say that they are inwardly like bees and ants, and may as well manifest that disposition in their next incarnation. A couple of loci in (sort of) classical texts of modern political philosophy seem to take a strategy in drawing the anthropological difference that diverges from the “rational deliberation” -> “political deliberation” argument. (2) In Ethics IV P37 Schol.1, Spinoza asks whether we have a duty to form a political union with animals. Of course the answer is in the negative, but the very fact that he raises the question is astonishing (on reasons for sympathy with animals, IV App.13, IV P35 Schol). Furthermore, the proximate reason given for the no answer is not that humans are rational, but that their affects “are different in nature” from those of animals (this might have to do with reason, but it is not immediately clear). Another striking point is that Spinoza places animals in the sphere of “right”, writing that they have rights against us (prima facie equal to our rights against them). So in effect he paints a picture of extra-political intra-species conflict, in which we have the duty to bond with our own species. This is not only so as not to be destroyed by animals, but also so as not to become like them (viz. IV P68 Schol). It might be a bit forced, but the anthro diff here turns out a matter not only of correct metaphysical definition, but also of very practical effort. (3) A side note: In Moralists IV.iv, Shaftesbury wants to make fun of Hobbes’ war of all against all by drawing attention to the social virtues of wolves (and even of the “swinish kinds”). If creatures that we suppose harsher (or baser) than us are able to be social, we have no good reasons to suppose that we are not social by nature, either. The argument seems facile, but Shaftesbury is building on Cudworth’s criticism of the political implications of Hobbes’ nature/artifice distinction (from the last sections of the True Intellectual System). Hobbes maligns nature to construct his “gothic” political philosophy (Sensus Communis II.i). The earl further jokingly suggests the war argument could fare better off if it were built on inter-species conflict (wolves/sheep), which would be only an image for conflict among human beings of differing dispositions. But the passage could also be read in the light of the kind of universal harmonistic ecology Shaftesbury sketches in Inquiry I.ii.i and elsewhere.